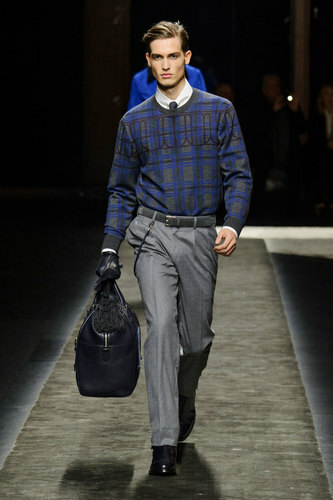 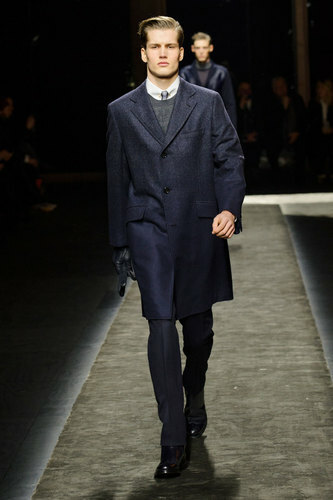 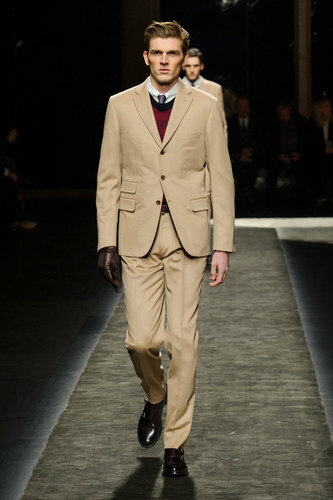 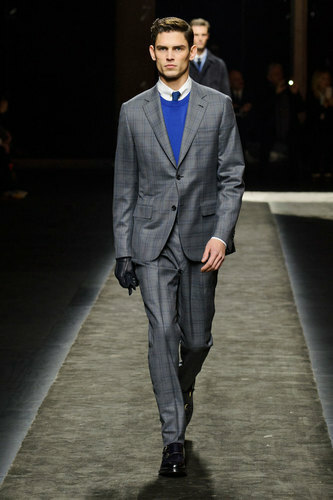 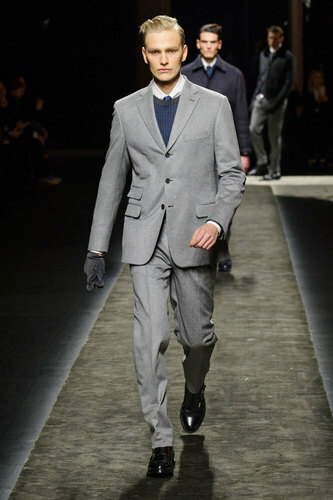 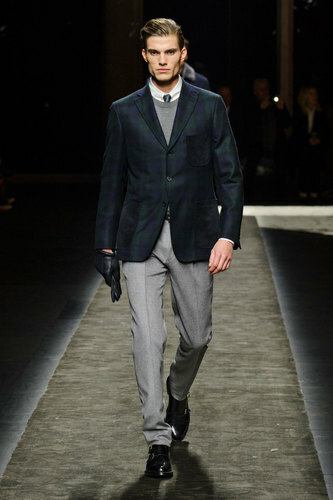 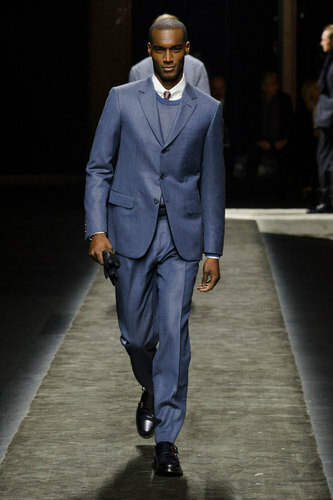 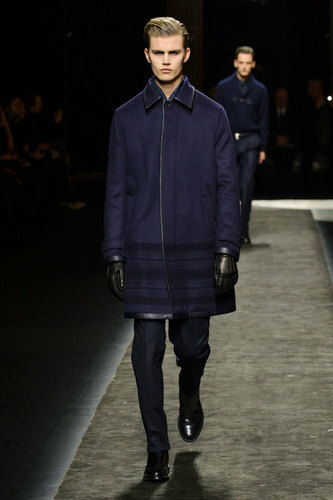 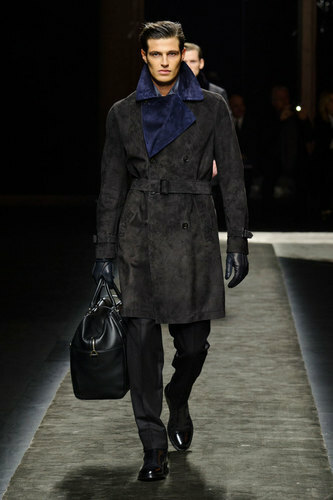 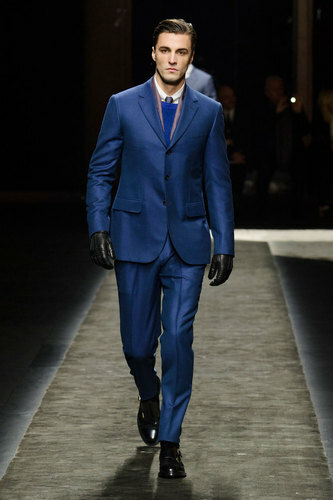 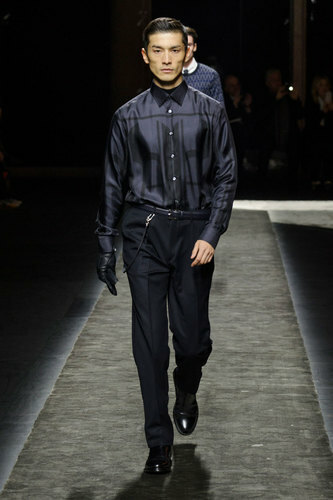 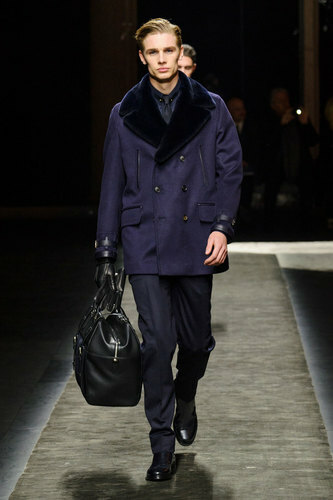 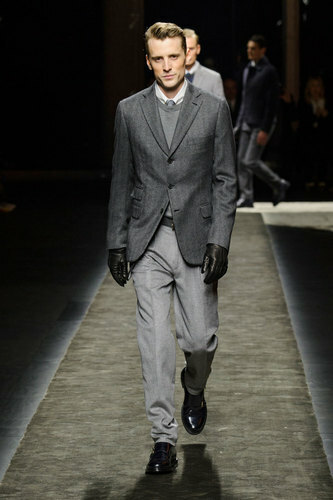 Brioni Man Autumn-Winter 2015-16 – Brioni’s collection is a stunning example of elegance. 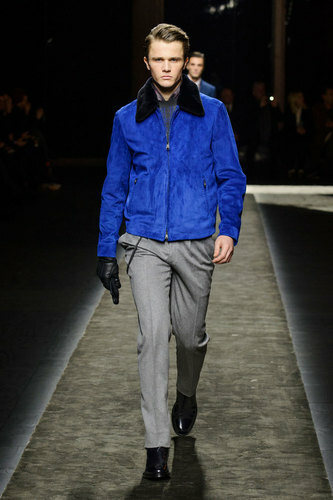 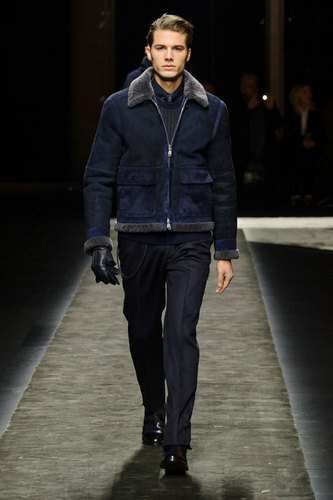 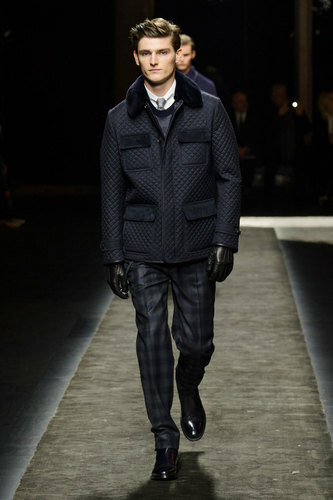 The designer, Brendan Mullen, focused his attention on the outerwear. 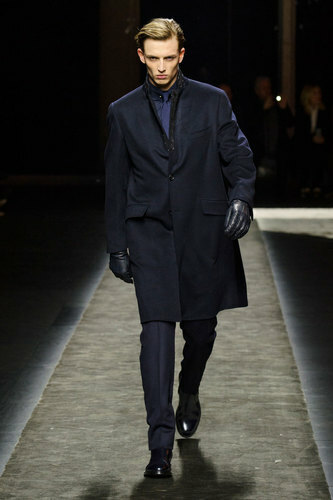 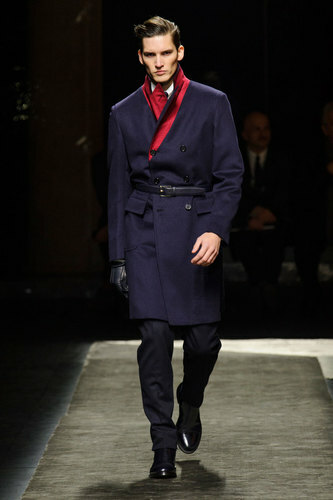 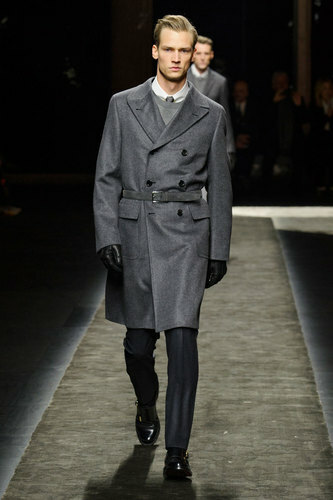 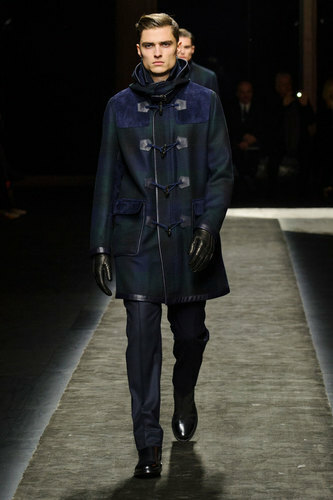 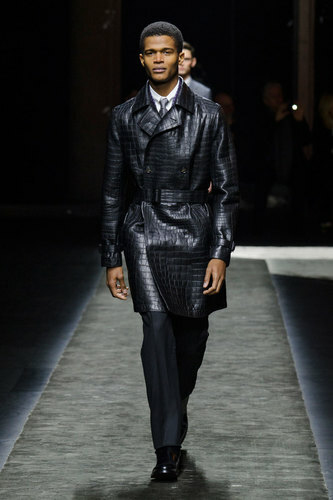 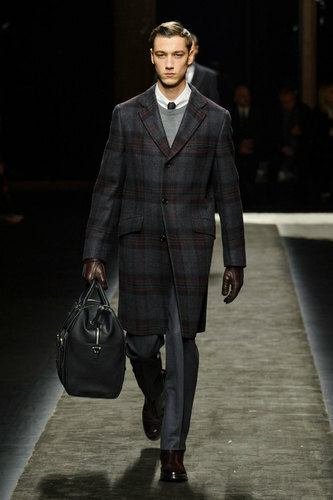 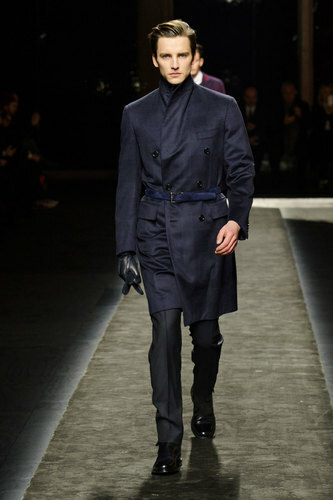 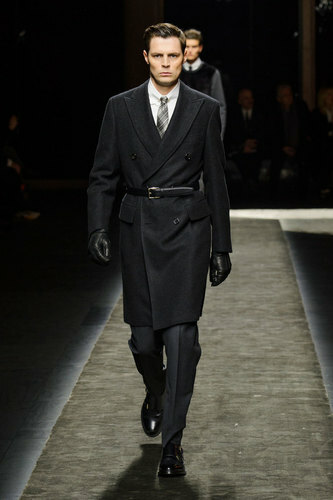 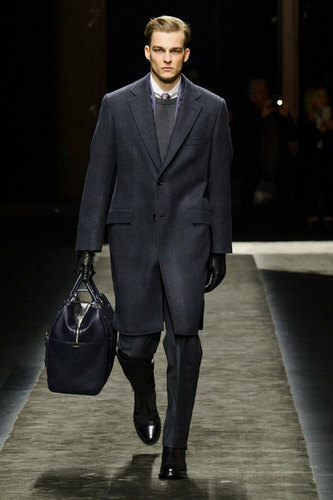 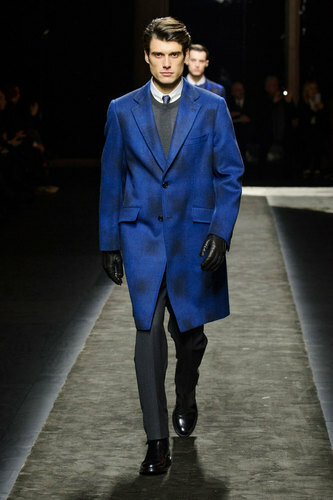 Refined and tailored double breasted coats mostly tighten by classy belts are worn proudly by Brioni’ men. 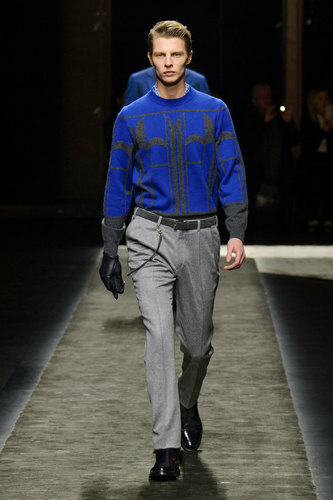 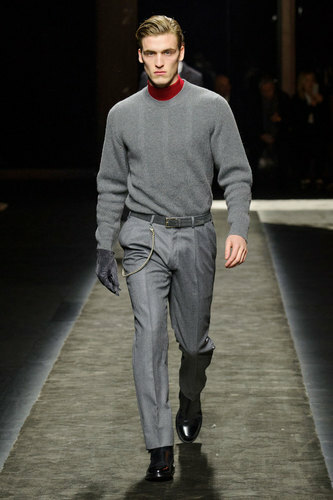 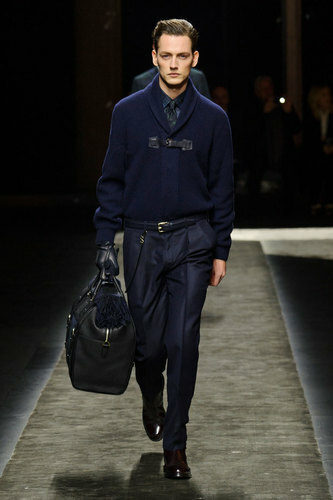 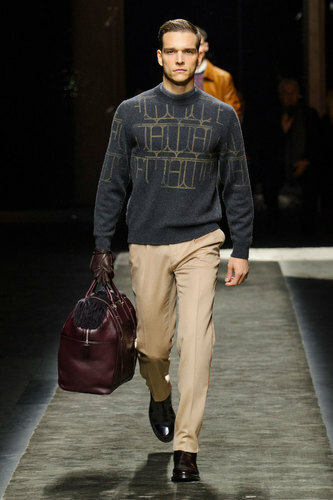 Garments in monochromatic blue, grey, camel and black shades are interrupted by geometrical cashmere sweaters. 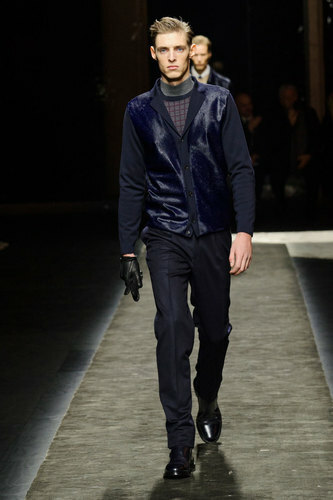 Mink scarves and collars embellish the collection. 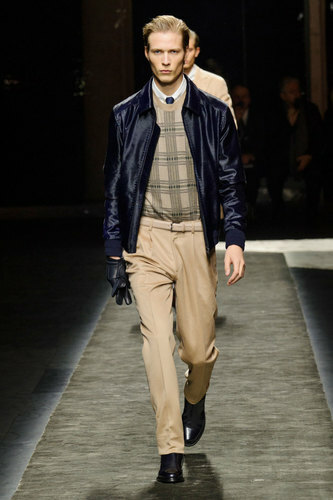 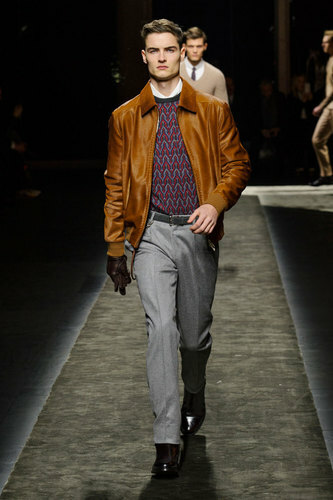 Even the casual looks are sumptuous: layered outfits predict a man who wears a tie, a collared shirt and a pullover on. 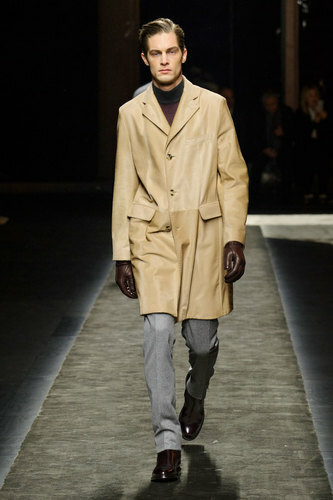 The wardrobe was thought for an American audience, a celebration of their 70th anniversary in the business that showed once more the tailoring and classy experience of the brand.